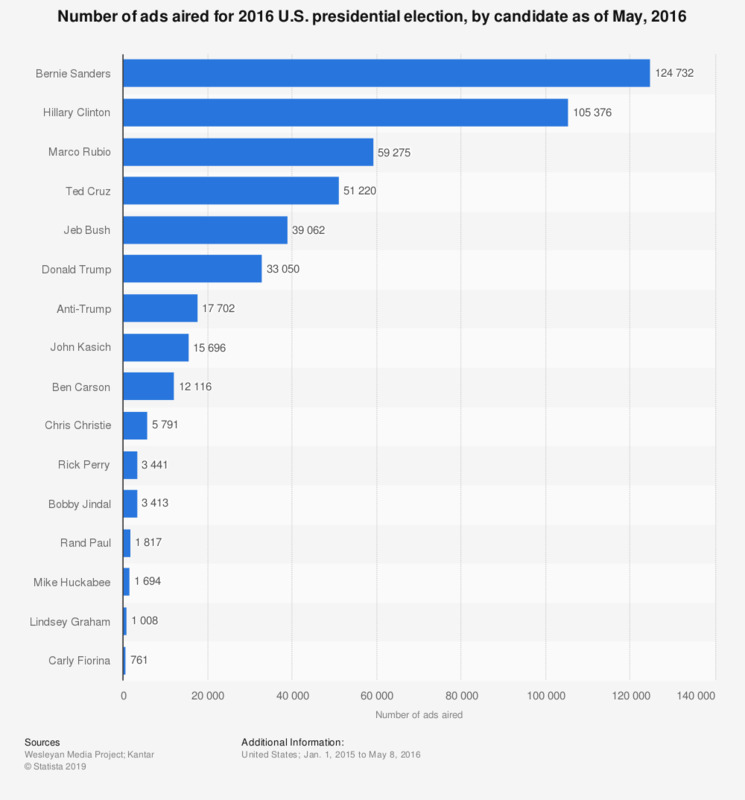 This statistic shows the number of ads aired during the 2016 U.S. presidential election as of May, 2016. The campaign for Bernie Sanders had aired 124,732 ads during the 2016 U.S. presidential election as of May, 2016. Numbers include broadcast, national network, and national cable television.